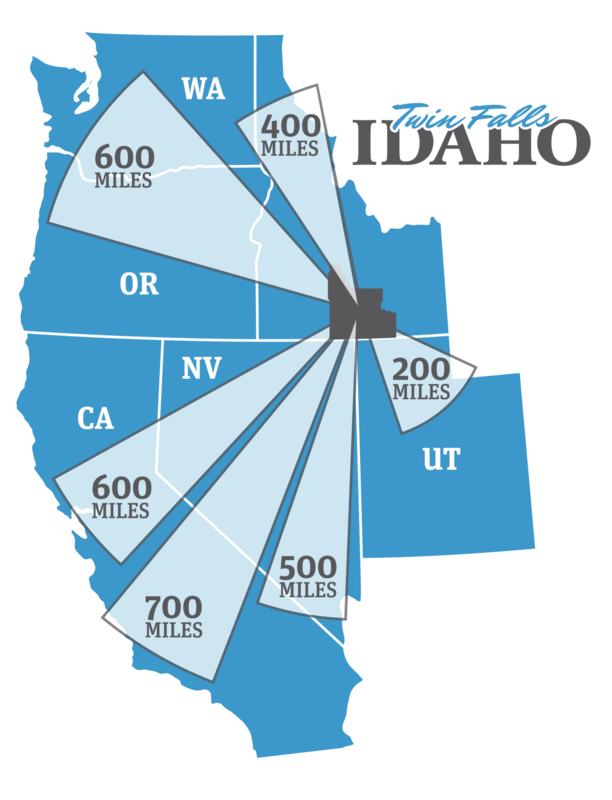 Twin Falls is strategically located in southern Idaho to efficiently reach national and international markets. Surrounded by Interstates 84 and 80, and U.S. Highways 93 and 30, Twin Falls has a daily average influx of 25,000 – 40,000 people coming into the community daily to work, shop and recreate. Businesses can reach all neighboring western states by truck in just 12-hour or less. 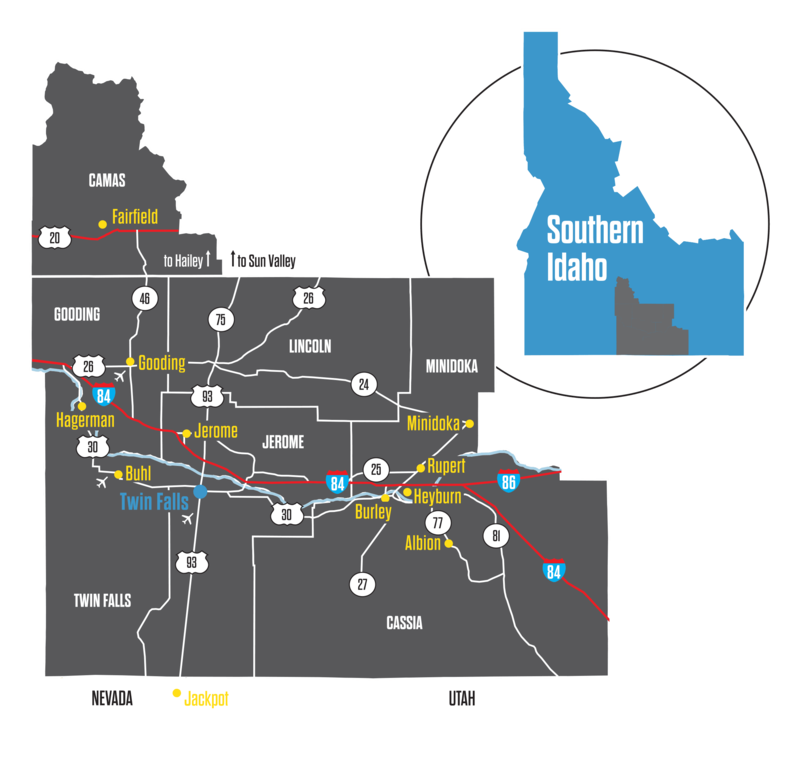 Eastern Idaho Railroad provides numerous opportunities for rail access for local businesses. Watco Companies’ nearby major short line rail service significantly reduces turnaround and transportation time for agriculture and other products to reach markets across the country. Idaho’s Port of Lewiston is the most inland seaport on the west coast. Twin Falls has direct access to all Pacific ports for international distribution. Local Magic Valley Airport serves all of southern Idaho and northern Nevada, with both commercial and private air transportation. Businesses have learned that Twin Falls’ established transportation infrastructure makes operating here a good logistical fit.